Three Gals and a Guy : Red, Orange, Yellow, Green, Blue and Purple! Red, Orange, Yellow, Green, Blue and Purple! We celebrated Saidey's 1st birthday in RAINBOW style today! 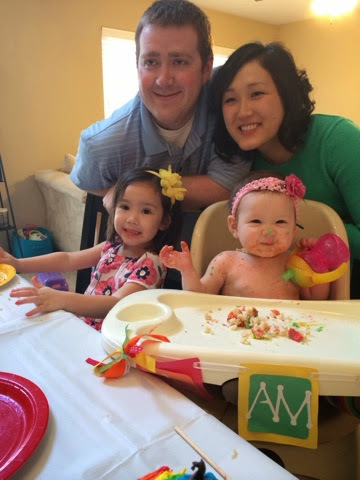 We had a wonderful time celebrating with our family and growing little girl.